The special tropical coverage from Pakistan Weather Portal (PWP) is over now! Cyclone Keila -First cyclone of 2011 ! Post monsoon activity in Coastal Sindh! Heavy showers with strong winds! Cyclone Keila has formed in the west central Arabian sea as of November 2, Keila is the first tropical system to reach cyclonic status on the Indian Meteorological Department (IMD) scale. It is the second tropical storm from the Arabian sea while it is the third in the north Indian Ocean according to the Joint Typhoon warning centre (JTWC). Keila is a name contributed by Maldives, it is derived from Arabic word Kayla, which is a female name. Cyclone Keila is the first tropical system to affect Oman during the month of November, in the past there had been post-monsoon tropical systems in other months but not even one struck Oman in this month, making Keila the first storm to do so since record keeping begin. The last tropical activity in the month of November was in 1993 in Pakistan, the deadly category-1 hurricane killed some 630 people in the country. However depression ARB 02 will not affect Pakistan directly. What is a tropical depression? – Is it a cyclone? Depressions are not a cyclone, but it could be termed as the early stages of a tropical cyclone. According to the Indian Meteorological Department (IMD), which is the Regional Specialized Meteorological Center responsible for forecasting tropical cyclones in the Arabian Sea and the Bay of Bengal, if a well-marked low pressure intensifies then it is termed as a depression. Tropical depression has winds up to 30 mph (48 kmph) gusting to 35 mph (56 km/h). If depression further intensifies then it is termed as deep depression. If a deep depression intensifies into a cyclonic storm on the IMD scale then it is given a name as per international practice. Cyclonic storm have winds 40 mph (64 km/h) and above. Cyclones are much better organized than both the tropical depressions, cyclones have a eye in the centre with the lowest pressure. In other parts of the world, cyclones are termed as hurricane and typhoon. Both the state governments have always advised the fishermen and sea surfers to not to venture in deep sea due to high tides. Remnant low pressure of Keila persists, it is over southern Omani coast and adjoining Arabian sea. Not a significant weather system now. Overall the cyclone Keila caused 14 deaths in Oman with widespread flash flooding due to 250+ mm rainfall in some southern parts of Oman. The system also caused post-monsoonal rainfall in Karachi and adjoining Sindh coast on November 2 and November 3. Cloud cover over southern Pakistan has decreased while Makran coast is mostly clear at the moment. Clouds that covered Karachi this morning have moved completely into Gujarat and Rajasthan, they are dissipating stages. Gwadar, Balochistan got 24 mm. Pasni, Balochistan got 16 mm. Jiwani, Balochistan got 16 mm. Ormara, Balochistan got 6 mm. Qairoon Hairti, Station got 32 mm. Ormara, Balochistan got 1 mm. No direct affect likely from Tropical cyclone Keila however under the influence of moisture incursion and spiral bands of the Keila, isolated heavy rainfall may occur at few places of Makran coast till November 3 mid-day/evening. While there are also chances of rainfall with mostly light intensity in Karachi and adjoining areas of Sindh coast till 24 to 36 hours. Light showers occurred in many parts of Karachi today. Due to the outer bands and moisture incursion of this deep depression, isolated to scattered heavy rainfall likely along the Makran coast from tonight/tomorrow while chance of isolated heavy rainfall along Sindh coast from November 2 evening/night. The outer bands of depression ARB 02 likely to cause scattered heavy rainfall along the Makran coast from November 1 evening while chance of isolated heavy rainfall along the Sindh coast from mostly November 2. The depression’s outer bands may cause heavy rainfall with strong gusty winds along the Makran coastal areas from November 1 night while isolated heavy rainfall with fast to strong winds along the Sindh coast from November 2. Pakistan Weather Portal (PWP) wants to know its reader’s thoughts! This is a “live tropical coverage” that started from October 31 and will end on November 4. CUMULUS clouds c0ming from the NE. where are th updates ???? KM where are you? The storm was never forecasted to directly affect the Pak coast.. Its outer bands and moisture incursion from the storm was the likely thing to cause showers in Pak..it is forecasted to move closer to Oman…While its trough and outer bands may cause shower..moderate rainfall has occurred in Makran coast as of today. while a thunderstorm from ARB 02 is seen moving towards Pakistan.. I want heavy rain and i want CHILLY WEATHER ! The depression that had stalled over west-central Arabian Sea on Monday beat forecasts yet again to undergo another round of intensification overnight on Tuesday. We are only to see these high level clouds bro thats all. No heavy rain. BBC sh0wing that the low pressure would m0ve t0wards Oman. it started raining in muscat. Heavily in some parts. Wadis have started and things are not looking good. U mentioned saiq in ur post? What part of oman is that? You can search Saiq on Google, its Saiq plateau in northern Oman..
urdu me ku likh rahe ha 😀 >…. babar bai SAK ne tu party di ha or rain ka ap btahe k hugi k nai?????? babar bai ye b btahe k kb se chances han rain k karachi me???? slight chance of drizzle today..
Humid weather now with clouds coming from south in Karachi due to low pressure in Arabian sea. 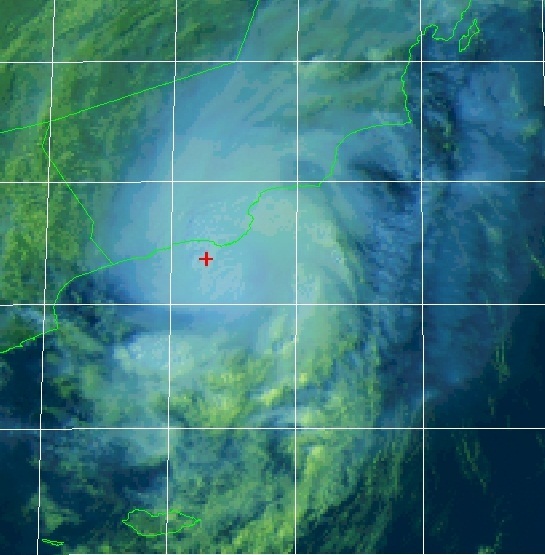 https://karachimetrological.wordpress.com/2011/11/07/tropical-activity-again-in-the-arabian-sea-with-arb-03-special-coverage/ update for arb 03..
southern Oman is already flooded due to Keila… with 14 deaths.. this storm is also likely to bring more heavy showers.. Pak coast may see some isolated light showers..today/tomorrow..
Karachi Metro Sir Salam and Happy Eid Mubarak to you and all other blogges of this website ! and how are u i hope u will be a fine shine !! and can you tell me weather about Upper Sindh (Larkana District) !will some rainfall could occur here in next few days ! ? Walikum Assalam Danish..Khair Mubarak…conditions in Larkana is likely to partly/mostly cloudy till 2 days then clearing..